Today was another cold one here in Ohio. 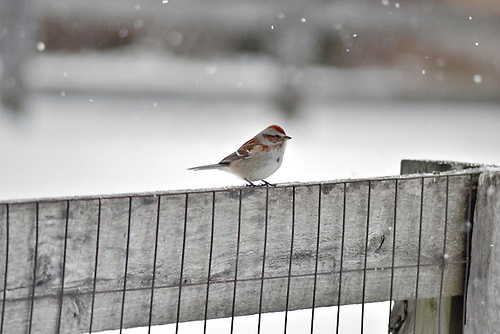 It continued to lightly snow and most people stayed warm and toasty in their homes. 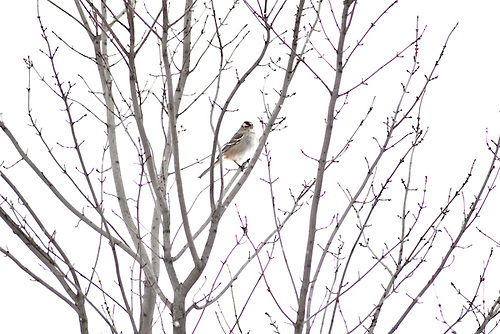 The birds, however, were out and about this morning enjoying a nice winter morning. 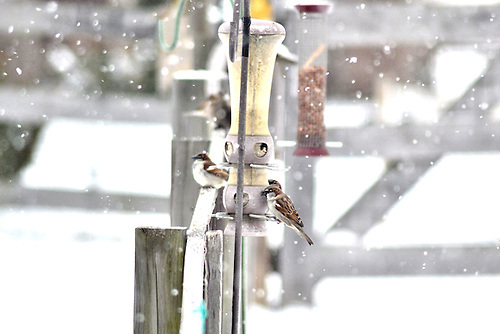 While I was out enjoying the cool, snowy weather myself, I stumbled into a bird paradise. Birds were everywhere and they were not of the shy variety. They flew above and around me. They even strolled past me on the ground. It seemed they were aiming to put on a fabulous show for me and my camera. 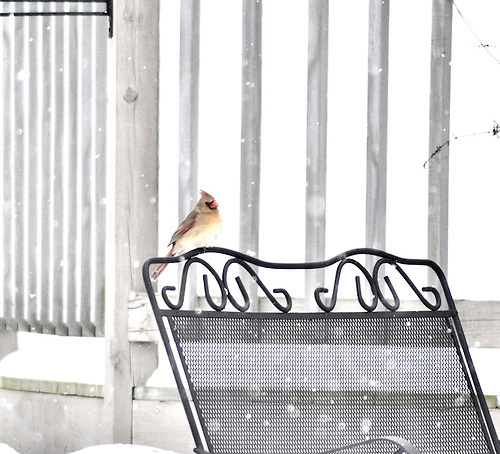 The cardinals were the friendliest. 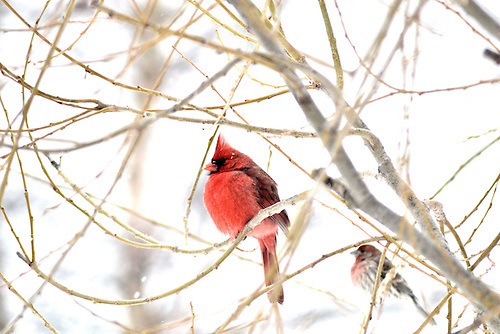 They loved showing off their red winter coats. They dived in and out of sight and over and under fences. Their personalities were as vibrant as their color. Of course all the talk was of the Ravens and their chance of winning the Super Bowl. They had no choice but to root for the bird team. They got their wish. 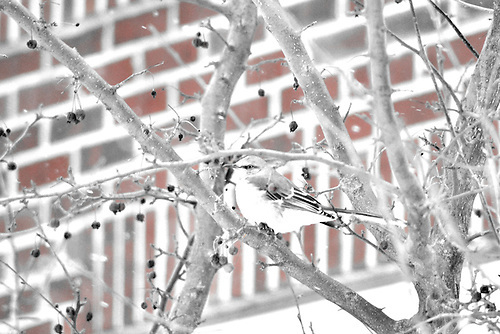 To get a much better view of the birds, click on the photo. 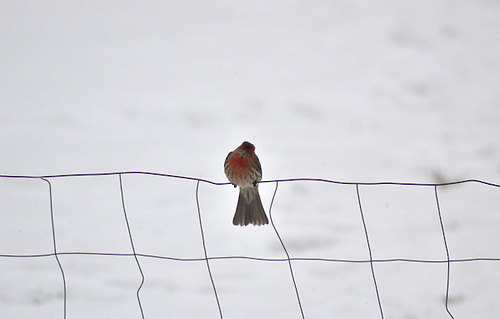 Carmichael the cardinal and his friend nicknamed Junior. Josey, from Mansfield, visiting the family. Murry, the neighborhood watch cardinal. The local diner was hopping. Fred and Fancy enjoying each other’s company. To see more of these birds visit my bird photo gallery. Seth, thanks for taking the time to swing by my fiction blog. I appreciate it, and I hope you can come back again soon. I like your blog. Great images. Good luck. See you soon. Thanks so much. 🙂 Birds seem to be very popular. feedstation. Actually there were over twenty varying kinds of birds..
We have a lot of beautiful birds in my part of the country but we don’t have cardinals. I miss them a lot after years in the east. These photos are beautiful and warm the heart like a Valentine. Thank you! Thanks. They are beautiful to see, especially against the white earth. Amazing pictures Seth, especially the first and the last one ..
wow stunning! amazing set of pictures. My favorite is the second picture. I have not but I’ll look into it. Thanks so much. WOW! 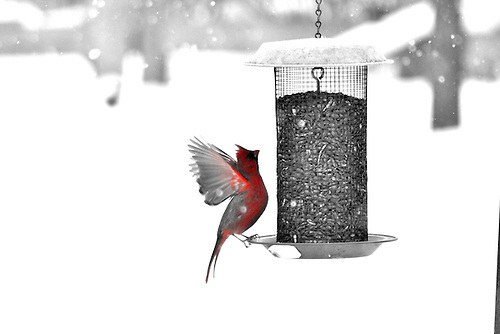 Fantastic – you captured the beauty of the cardinals, especially Carmichael showing off his wings, Fred & Fancy and Charles chilling! 🙂 Thanks. Glad you like the gang. I think ornery is a better description. 😉 thanks. Great, great, great! Well done! I love your cardinals! I wished we had them here! Gorgeous color!! Great. Thanks so much. Glad you like them. Oh my gosh, these photos are amazing! I love too how the birds have names! Wow, I’ll have to find it. I miss cardinals. We don’t have them on the west coast. Gorgeous images! 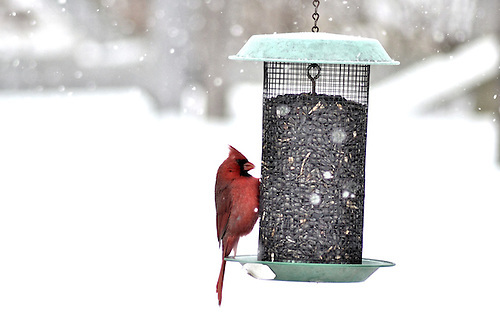 Cardinals always look stunning in the snow! Yes they do. Thanks sonnie. Oh Seth, these are so beautiful! 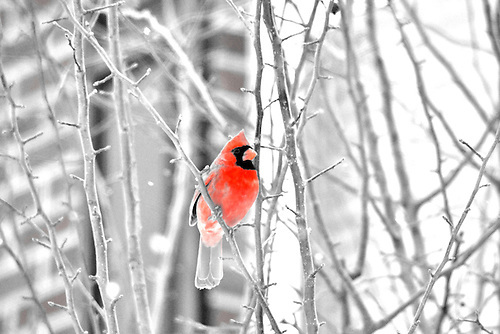 I just love cardinals in wintertime, their red is so striking against the muted white & gray colors of winter. This brought a smile to my face, thank you! wow ! I really love them !! beautiful ! sweet birds..great shots. These photos are so endearing! 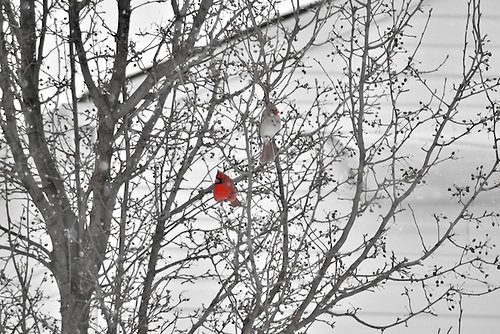 Mr or Mrs Cardinal just pops in the setting. Thank you for sharing such a lovely walk. 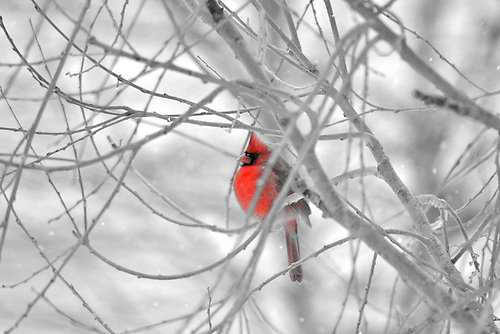 Absolutely stunning post, the red of the bird against the white of the snow, just beautiful…………. Hi. In the first picture it looks like he is furious at you by tempering with is privacy. Its picture is fabulous! You take pictures beautifully. I’m say ing like Madhu – WOOoOOoOoOOow! Your photos here are exquisite. What beautiful pictures! Glad it wasn’t too cold and were able to take these shots Seth! I think these are my favorites to date. 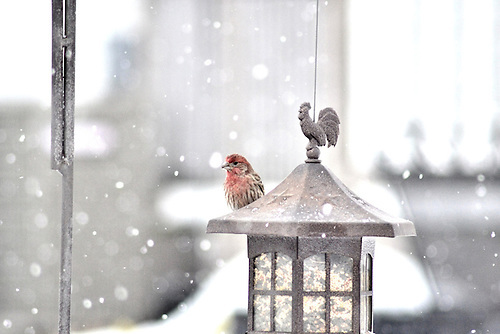 Love the birds and the beautiful snow. I do love birds! These are just fantastic photos! 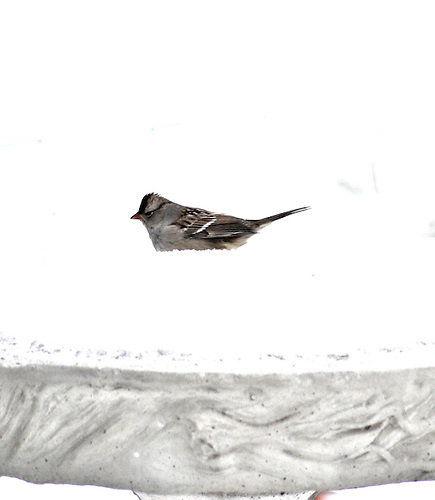 I live in Southern California…I don’t see birds in snow. I’m so glad I stopped by today! The Bird and the Beautiful. A long-running viewer’s favorite. LOL, the titles so fit, made me laugh, thanks for that. Really nice work, very well done! 😄😄love to make people laugh. You are so fortunate! The few birds we see are so shy that if we make the slightest move are sound they are gone in a flash — I can’t get a decent picture of any of them except our resident robin. 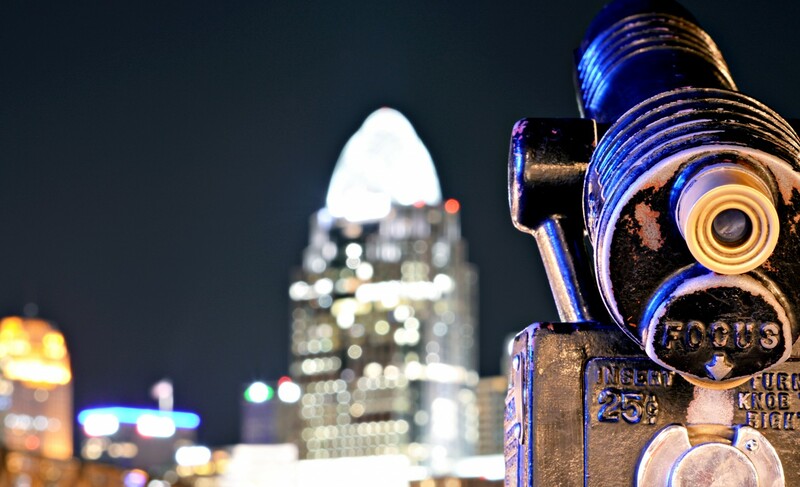 Very nice photos — makes your area look like it’s teeming with life! I have to move very slowly. It’s hard for a big boy like me not to scare them.